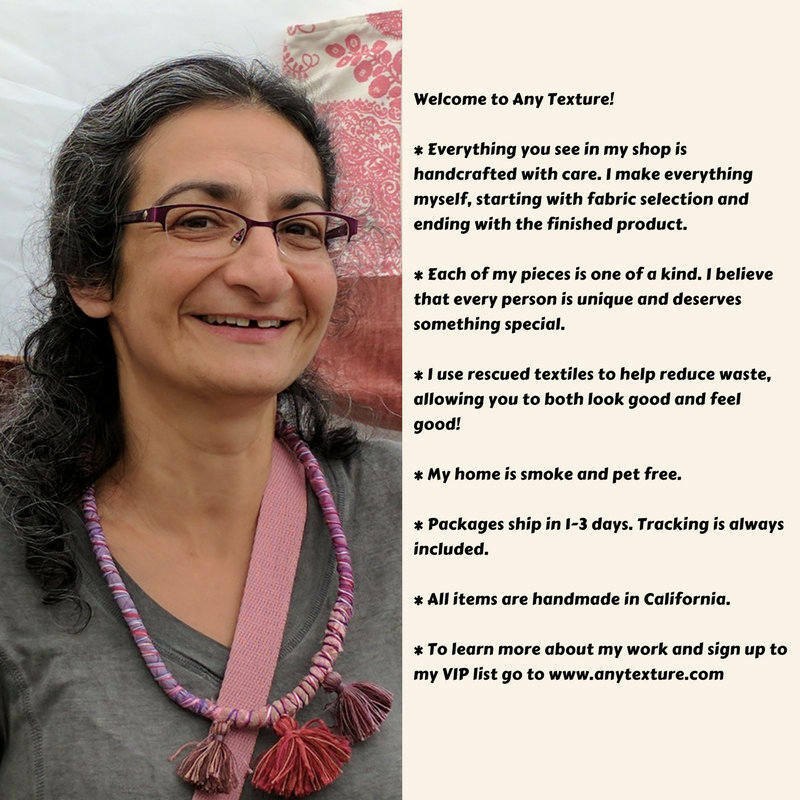 This is your chance to wear unique art! 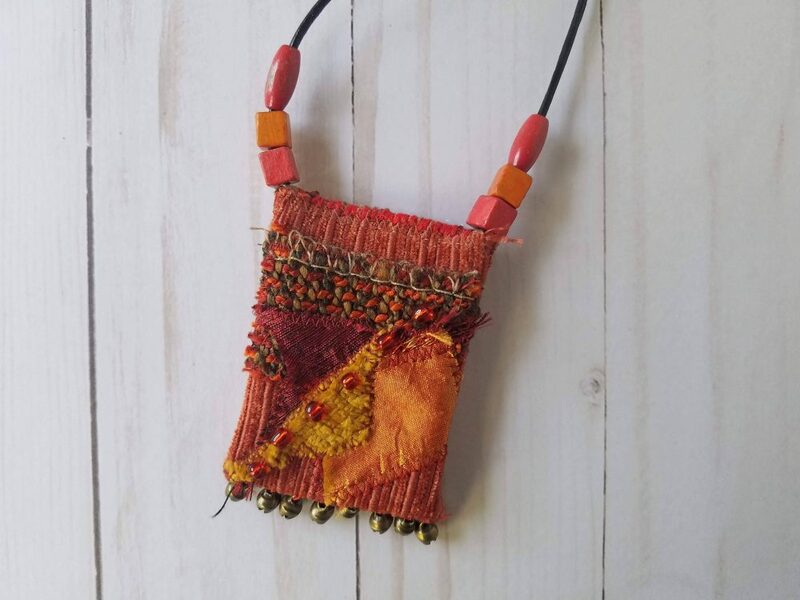 This long hand stitched talisman necklace is made of mixed re-purposed fabrics. 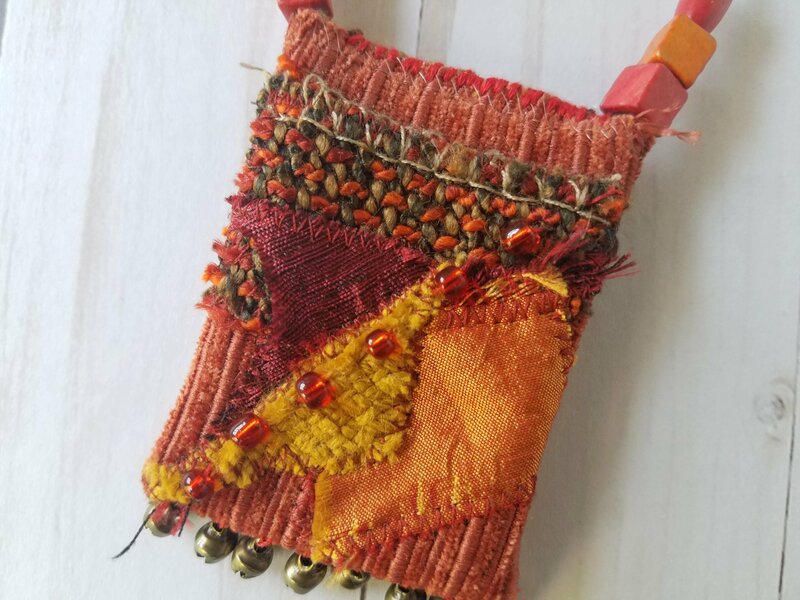 It has a large patchwork pedant, with small glass beads and brass bells sewn to it. 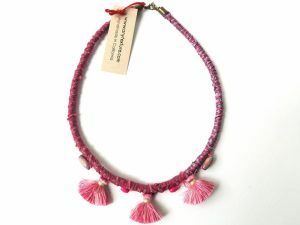 The necklace reaches to below the chest, and will go well with solid-colored tops, especially boho/langenlook styles. 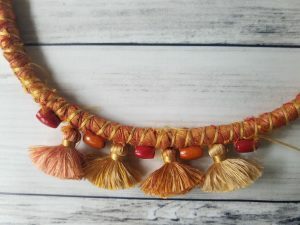 – This is a long necklace, 14.5" long, meaning from the knot of the string to the bottom of the pendant (the length of the open string is 30"). The Pendant itself is 2.9" x 2." This necklace is designed to reach the mid-chest. – Made from a mix of re-purposed high-end designer fabrics, that are both gorgeous and strong. – Includes glass beads and brass bells. 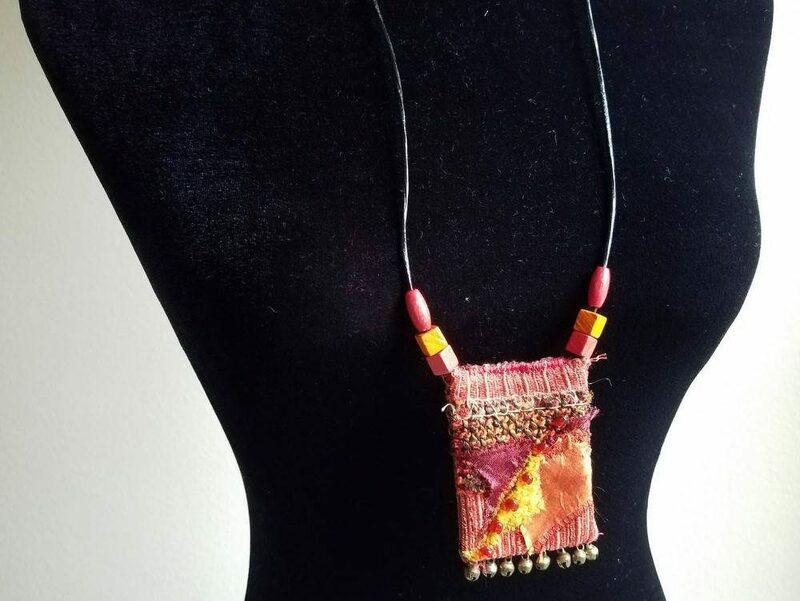 – Colored wooden beads decorate both sides of the pendant. – Attached to a leather cord. – Features a large, textile art pendant. 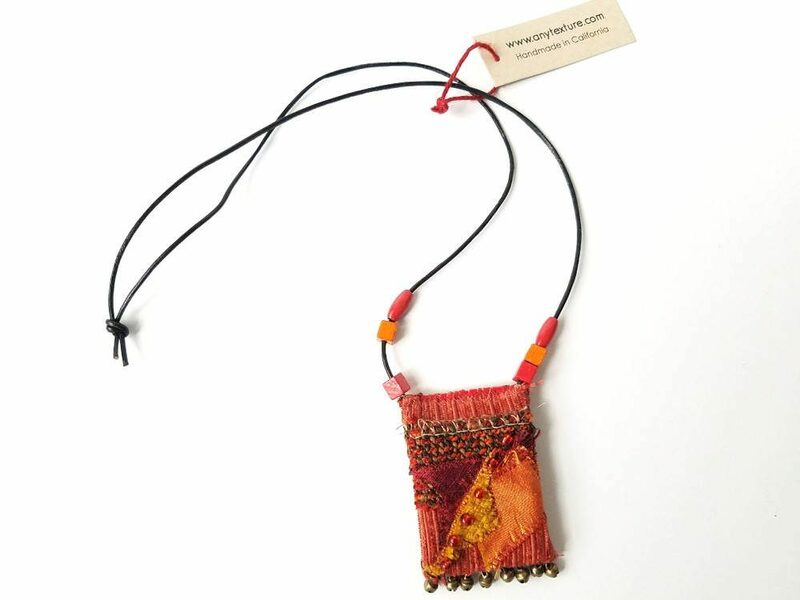 The pendant is a patchwork of different textured textiles in reds and oranges. 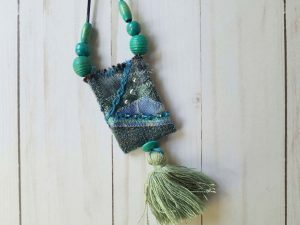 – The Pendant is decorated with glass beads and small brass bells. – Includes some hand embroidery. 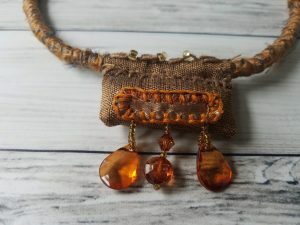 – The pendant is hung on a thin black leather cord. 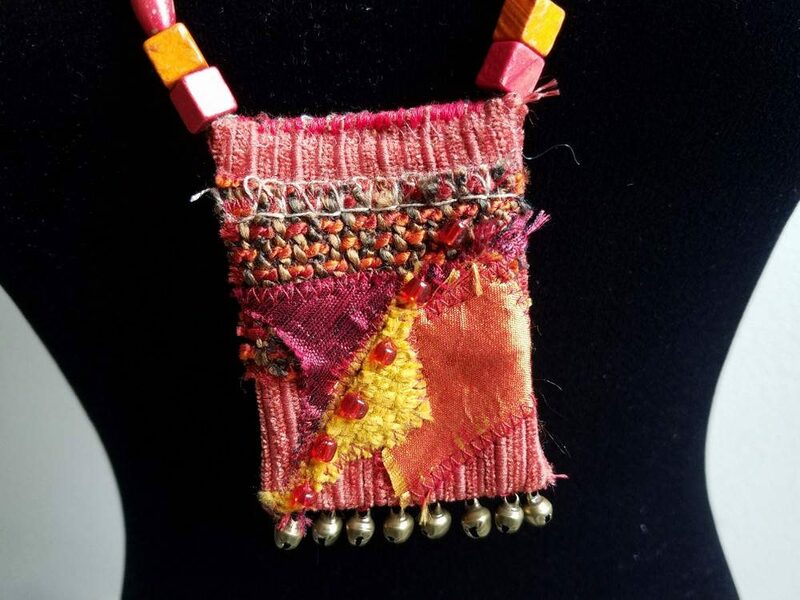 – There are colorful wood beads on both sides of the pendant. – The cord is closed with a simple knot. – The necklace is meant to slip over the head.